Madison Beer’s ‘Home With You’ Certified Gold in Canada | Cindy Kimberly, Madison Beer | Just Jared Jr.
Madison Beer chats with model Cindy Kimberly while out shopping togehter in Los Angeles on Wednesday afternoon (January 30). The 19-year-old singer and Cindy met up with a few other pals for the retail therapy, where they picked up a few purses for their closets. It was just announced that Madison‘s song, “Home With You”, was certified Gold in Canada! 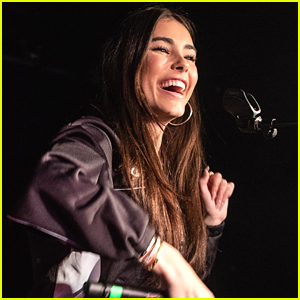 "Home With You" is now officially the first single from @madisonbeer to be certified #GoldinCanada!